Huawei is determined not to be far behind in upgrading its smartphones to Android Pie. Your strategy could not be different if you want to continue with the same level of growth. 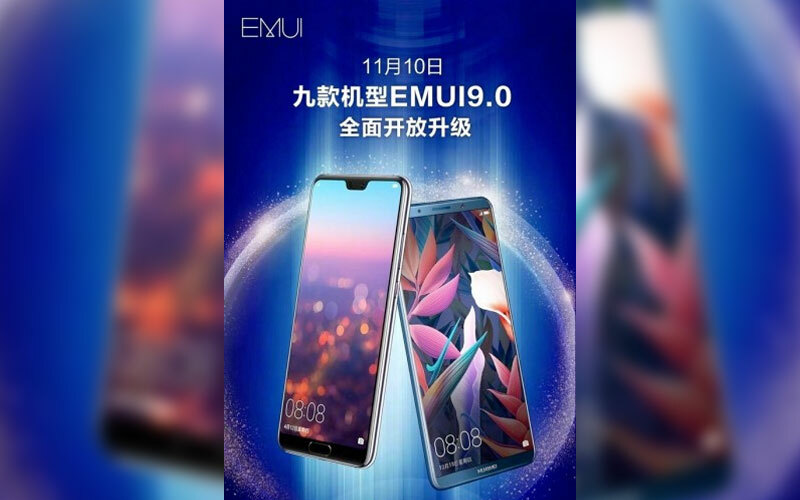 For this reason, several smartphones will receive EMUI 9 later this week. The new version of its custom interface – EMUI 9 – was presented during IFA 2019 in Berlin. It was then introduced for the first time at the launch of the new Huawei Mate 20. Although it has not reached globally to any other smartphone of the mark since the 17 of October that was available in beta for a limited number of users in several smartphones. Now the CEO of the manufacturer – Richard Yu – once again resorted to its Weibo account to reveal the official arrival date of the global version of EMUI 9, based on Android Pie. According to the CEO’s publication, in this first phase will be 9 smartphones to receive the desired update. In the list, you can find 6 smartphones from Huawei and 3 from Honor. From what we can see, the common feature among all of them is the presence of the Kirin 970 processor. However, even though its official release date is on November 10, it is likely to take a few days before all users can upgrade their smartphones. Since EMUI 9 is based on Android Pie, you’ll be able to take advantage of the latest news brought by Google’s operating system. So you’ll be able to count on new AI (artificial intelligence) features such as smart battery management and screen brightness. Finally, in this version of EMUI 9 also comes the implementation of GPU Turbo 2.0 technology. Designed to take full advantage of processor capabilities, especially during more intense gaming sessions.